Unpopular Opinion no. 14356 – I like The Proclaimers’ music. Most people I say this to immediately groan and/or swear, then launch into 500 Miles with the awful marchy treadmill dance thing that whatsisname comedian guy (and Ronnie Corbett) did for a charity single a few years back. 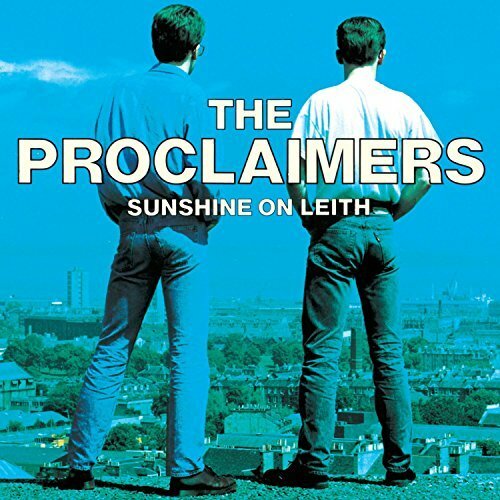 And yes this album, Sunshine on Leith, their 2nd studio album from 1988, has that song as the first track. But this album is also from the time before The Proclaimers were a one hit wonder, and there’s so much more to it than just one song. For a start there’s the other singles, I’m On My Way and Sunshine on Leith itself, but I get the feeling that, unless you were a fan or listened to the Scottish Chart show back in the day you might not know them. For me, though, it’s the rest of the album where they really come into their own. They showcase their roots with original songs like Sean that could be traditional Celtic folk ballads and then they cross the Atlantic for pure Appalachian country sounds in the Steve Earle cover My Old Friend The Blues. There’s upbeat songs like Then I Met You and heartbreaking melancholy with the likes of What Do You Do.